The Be Well Informed Guide from NHDES is designed to help you understand your water test results and, if your well water has commonly found pollutants in it, provide information about health concerns and water treatment choices. New Hampshire is fortunate to have an abundance of clean groundwater, and nearly half of New Hampshire's residents (over 500,000 people) rely solely upon domestic wells (also called "private wells") as their primary source of drinking water. While many private wells provide safe drinking water, certain pollutants like arsenic, iron and manganese are sometimes present in groundwater at levels that can affect your health and home. NHDES recommends private well owners test their well water every three to five years for pollutants commonly found in New Hampshire's groundwater. This group of commonly found pollutants is listed in the NHDES Private Well Brochure and is referred to as the "Standard Analysis." The Be Well Informed Guide evaluates the pollutants that are part of the Standard Analysis. NHDES recommends that you have your water tested at a NHELAP accredited laboratory. 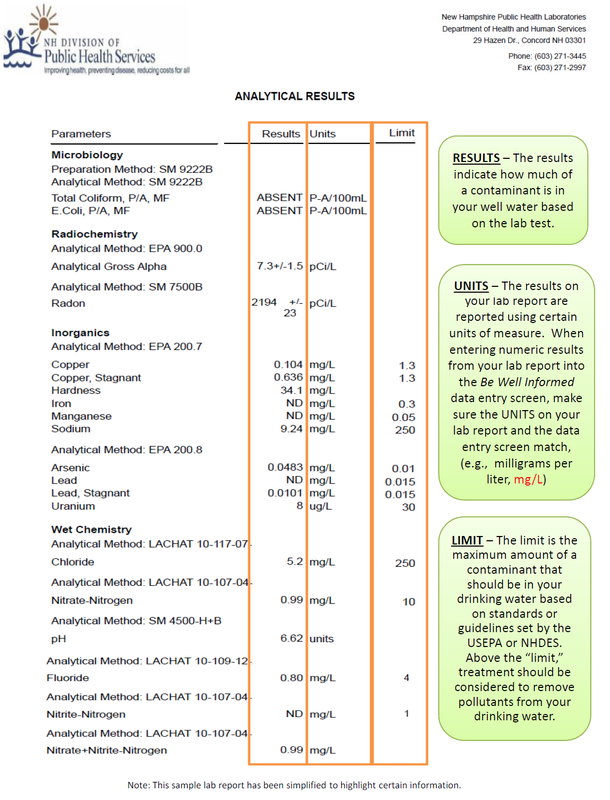 When you have your water tested, your test results will be summarized in the form of a lab report. With your water test results in hand, click the button below to enter your test results from your laboratory report. You will receive an evaluation of your well water quality and, if advisable, water treatment options. Regardless of water treatment technology, it is essential that your treatment system is maintained on schedule in order for it to work properly. 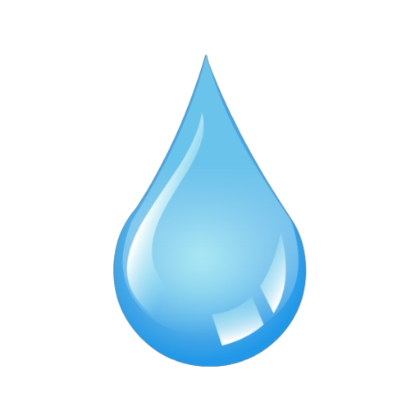 Information provided on this website is for informational purposes only and should not be substituted for direct consultation with a qualified water treatment professional. Other conditions or factors related to your well or home not considered by this online guide may determine the most appropriate water treatment option. (603) 271-3503 | TDD Access: Relay NH 1-800-735-2964 | Hours: M-F, 8am-4pm.